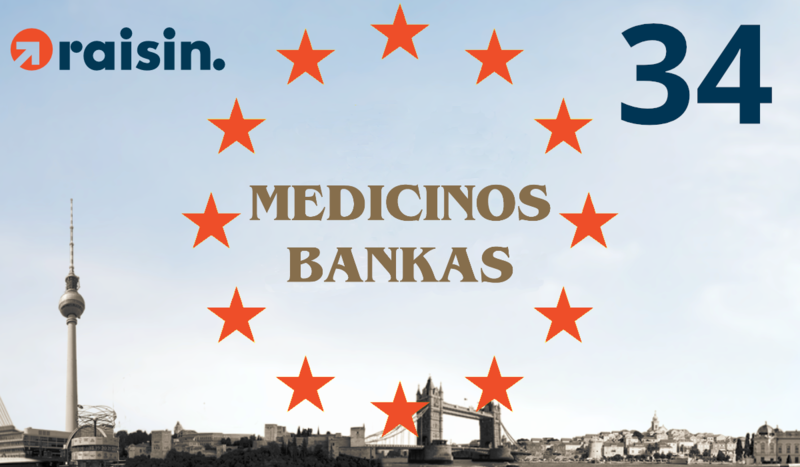 We are happy to announce the second onboarding of a partner bank from the Baltic States this week: With the launch of Medicinos Bankas from Lithuania, the number of available partner banks on our German localized platform WeltSparen.de rises to 34! The miminum deposit for a savings account with Medicinos Bankas is €5,000 and savers can earn interest of up to 1.30%. This brings the total number of available savings products to more than 145 and the number of countries of origin of our European partner banks to 17.